step(dfv,filt) displays the time-varying magnitude response of the object filter, filt, in the Dynamic Filter Visualizer figure, as long as filt has a valid freqz() implementation. step(dfv,B,A) displays the magnitude response for the digital filters with numerator and denominator polynomial coefficients stored in B1 and A1, B2 and A2, ..., and BN and AN, respectively. Design an FIR filter with time-varying magnitude response. Plot this varying response on a dynamic filter visualizer. Vary the cutoff frequency of the FIR filter, k, from 0.1 to 0.5 in increments of 0.001. View the varying magnitude response using the dynamic filter visualizer. 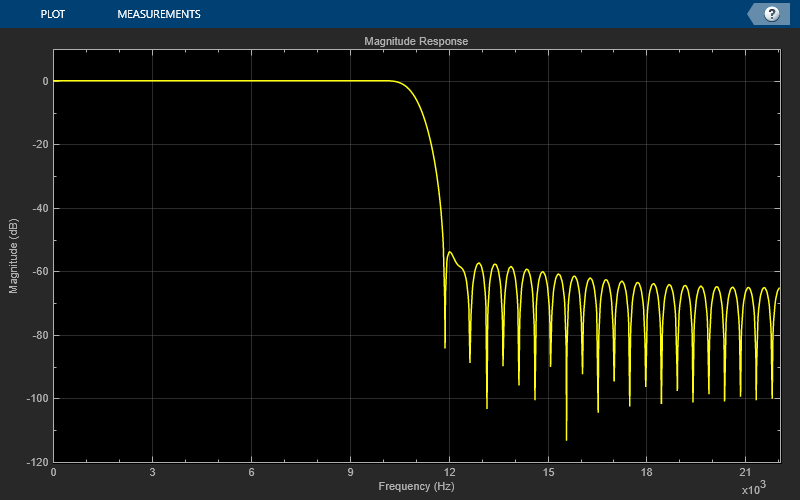 Visualize the varying magnitude response of the variable bandwidth FIR filter using the dyamic filter visualizer. 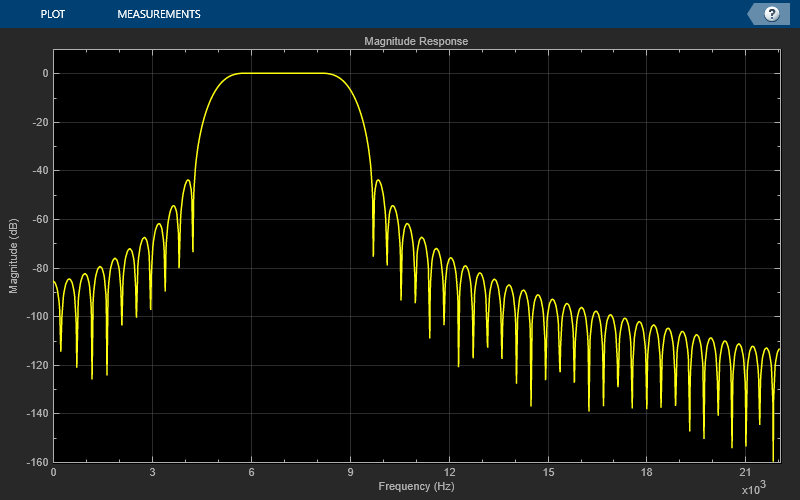 Design a bandpass variable bandwidth FIR filter with a center frequency of 5 kHz and a bandwidth of 4 kHz. Vary the center frequency of the filter. Visualize the varying magnitude response of the filter using the dsp.DynamicFilterVisualizer object. Dynamic filter visualizer, specified as a dsp.DynamicFilterVisualizer object. Filter System object with a valid freqz() implementation. Numerator polynomial coefficients, specified as a row vector. scalar –– The filter is an FIR filter. row vector –– The filter is an IIR filter.